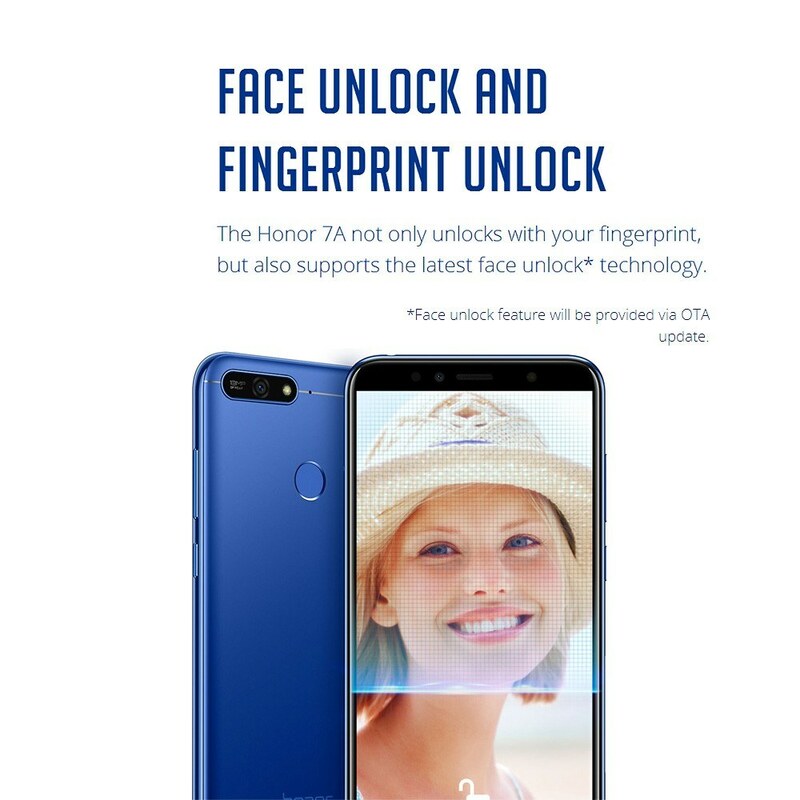 The Honor 7A not only unlocks with your fingerprint, but also supports the latest face unlock* technology. 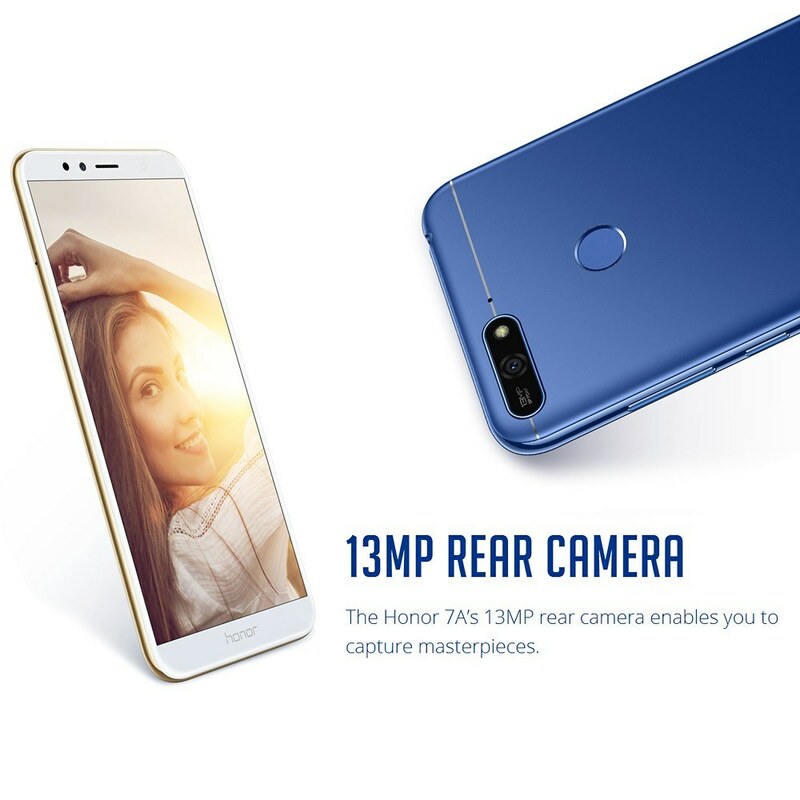 13MP REAR Camera The Honor 7A’s 13MP rear camera enables you to capture masterpieces. 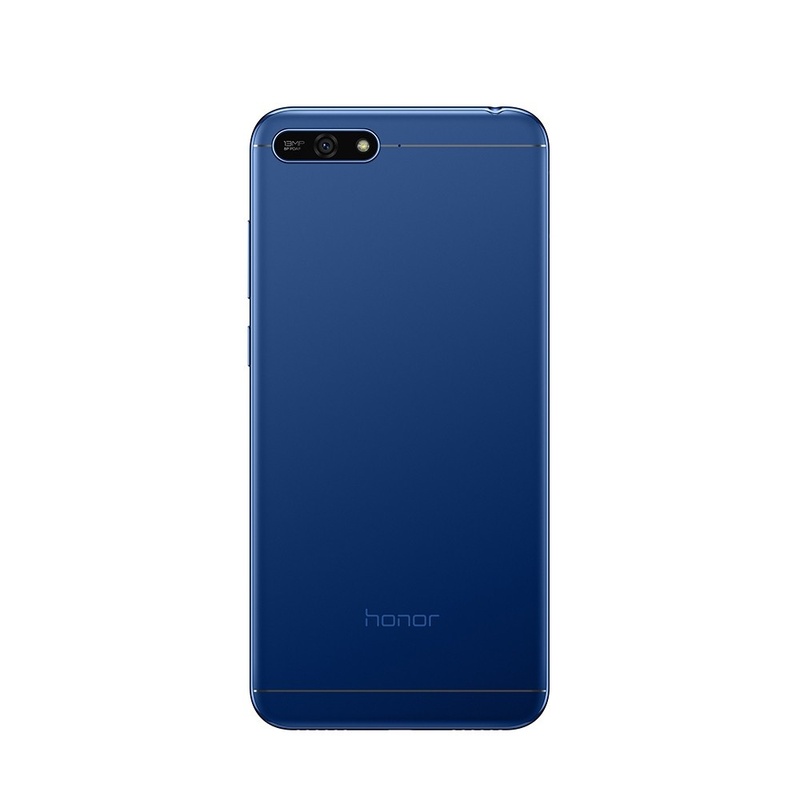 Boasting an 8MP front camera with a wide aperture of F/2.2, the Honor 7A allows you to take clear, beautiful selfies. Advanced adjusable selfie toning light means perfect shots, day or night. The Honor 7A features a bezel-less 5.7 inch Honor FullView display with a cinematic 18:9 aspect ratio, delivering an immersive experience for your video streaming and gaming. 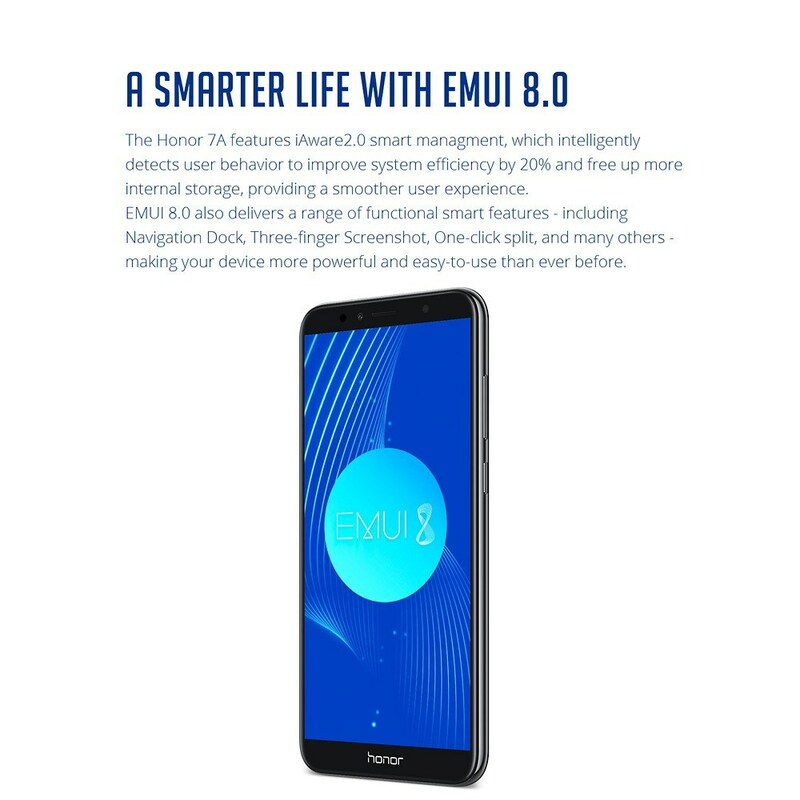 The Honor 7A features iAware2.0 smart managment, which intelligently detects user behavior to improve system efficiency by 20% and free up more internal storage, providing a smoother user experience. EMUI 8.0 also delivers a range of functional smart features - including Navigation Dock, Three-finger Screenshot, One-click split, and many others - making your device more powerful and easy-to-use than ever before. 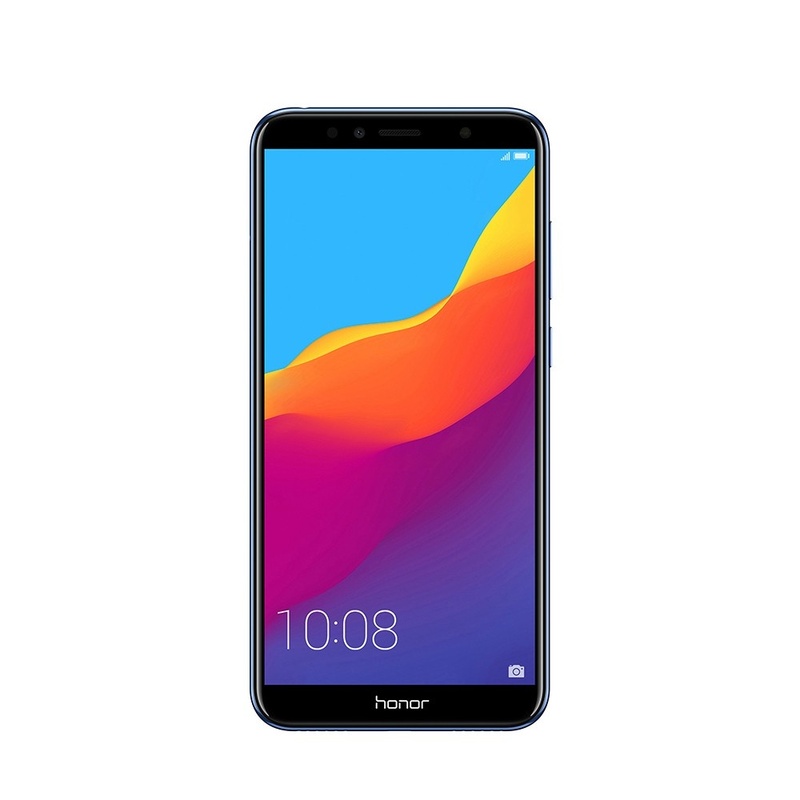 A massive 3000mAh battery and fifth-generation smart battery software with energy-saving technology means the Honor 7A lasts a whole day, even for heavy users. 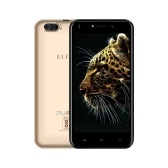 The high-density battery maintains over 80% of its capacity even after 800 full recharges. 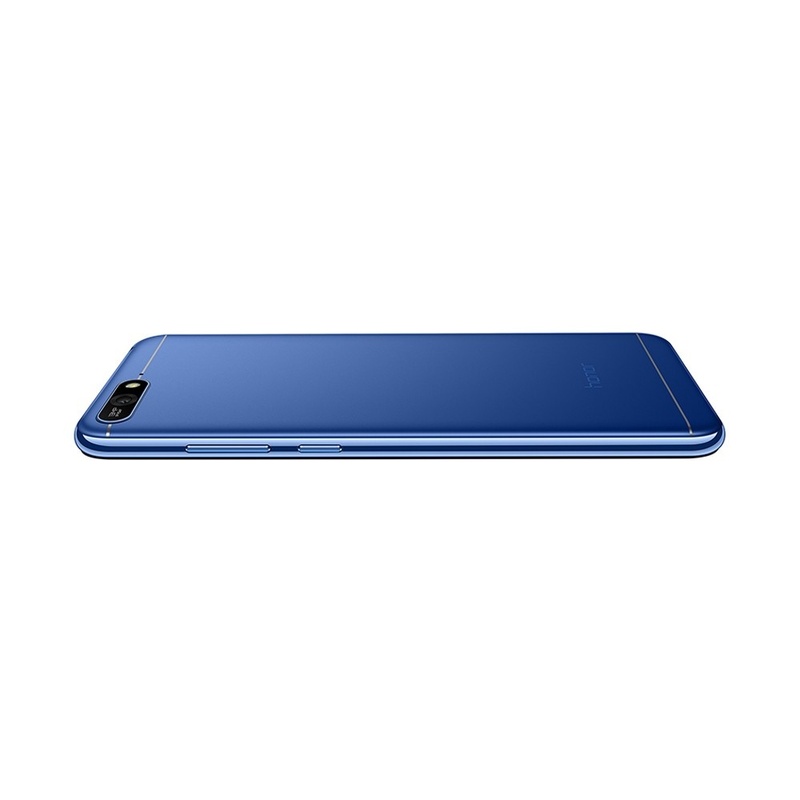 With its high-power SMART PA amplifier and turbo-charged speakers, the Honor 7A can deliver audio as loud as 88 dB, creating immense, penetrating sound. 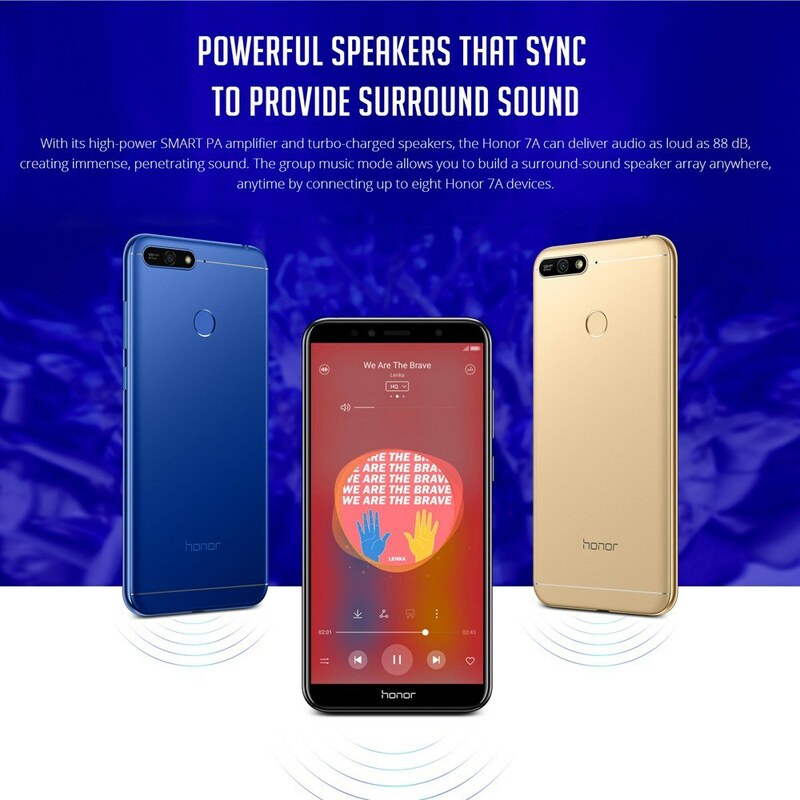 The group music mode allows you to build a surround-sound speaker array anywhere, anytime by connecting up to eight Honor 7A devices. 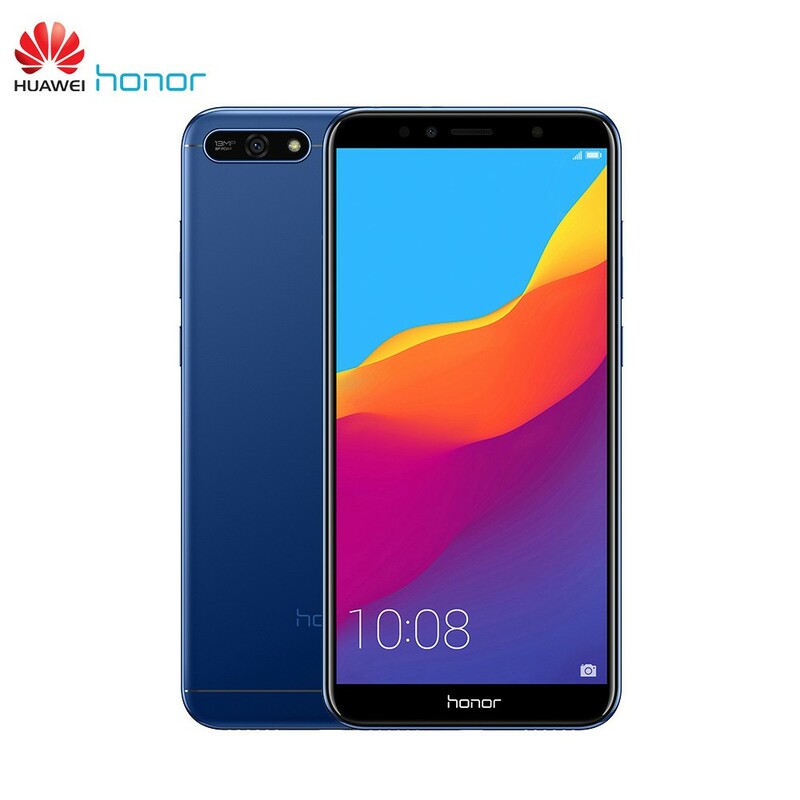 The Honor 7A offers real-time audio monitoring through your earbuds and supports SWS3.1 virtual bass, allowing you to replicate the recording studio experience and hear your own voice while recording your singing. 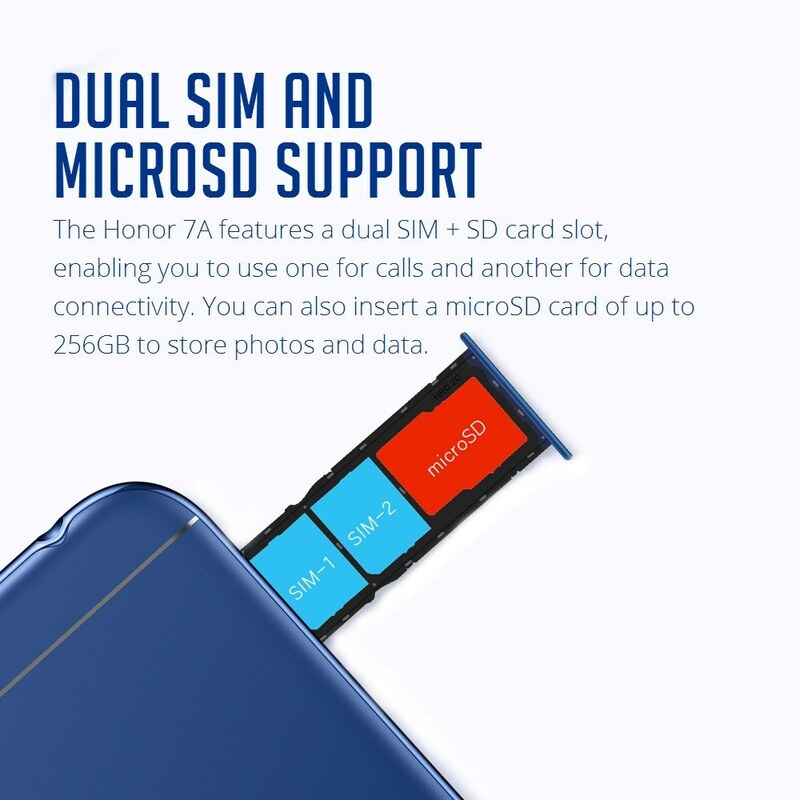 The Honor 7A features a dual SIM + SD card slot, enabling you to use one for calls and another for data connectivity. 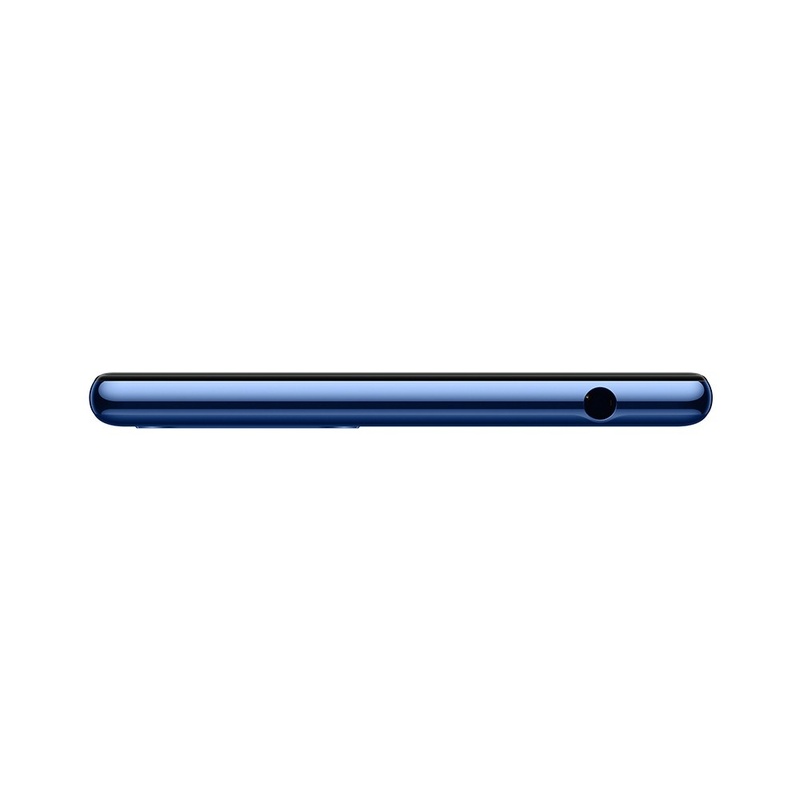 You can also insert a microSD card of up to 256GB to store photos and data. 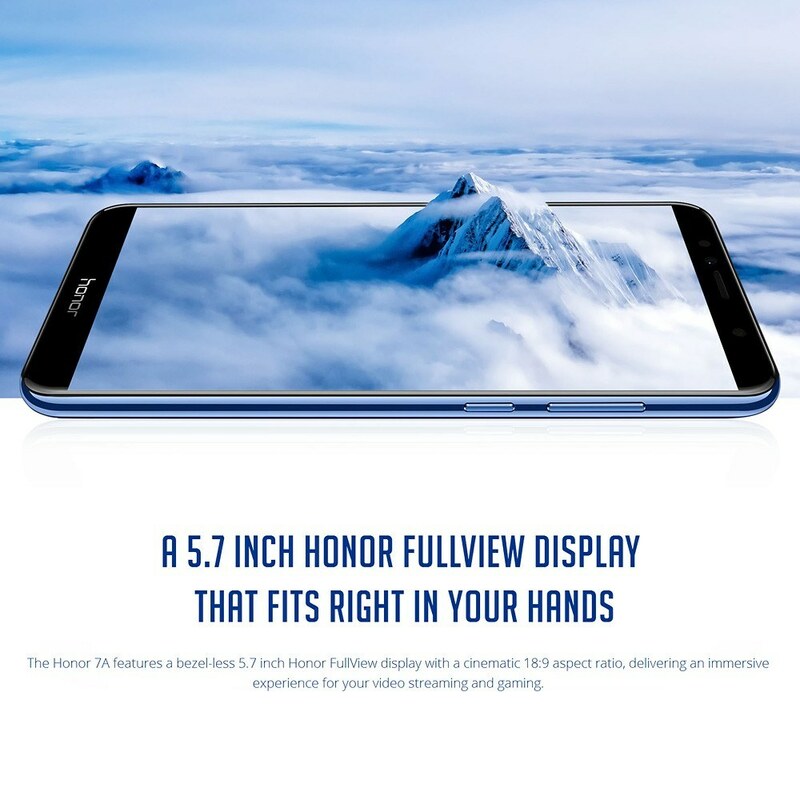 * 5.7" 18:9 Honor FullView Display. * Face Unlock and Fingerprint Unlock. * EMUI 8.0 Based on Android 8.0. * 8MP Front Camera,Selfie Toning Light. 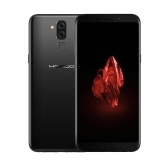 * 3000 mAh Long Lasting Battery. 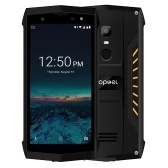 * Dual SIM and SD Card Slot. *Network Frequency varies from countries to countries. 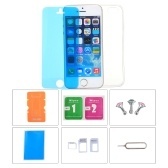 Please ensure local area network is compatible, check with your carrier/provider before purchasing this item. Talk Time and Standby time will depend on the actual using situation. 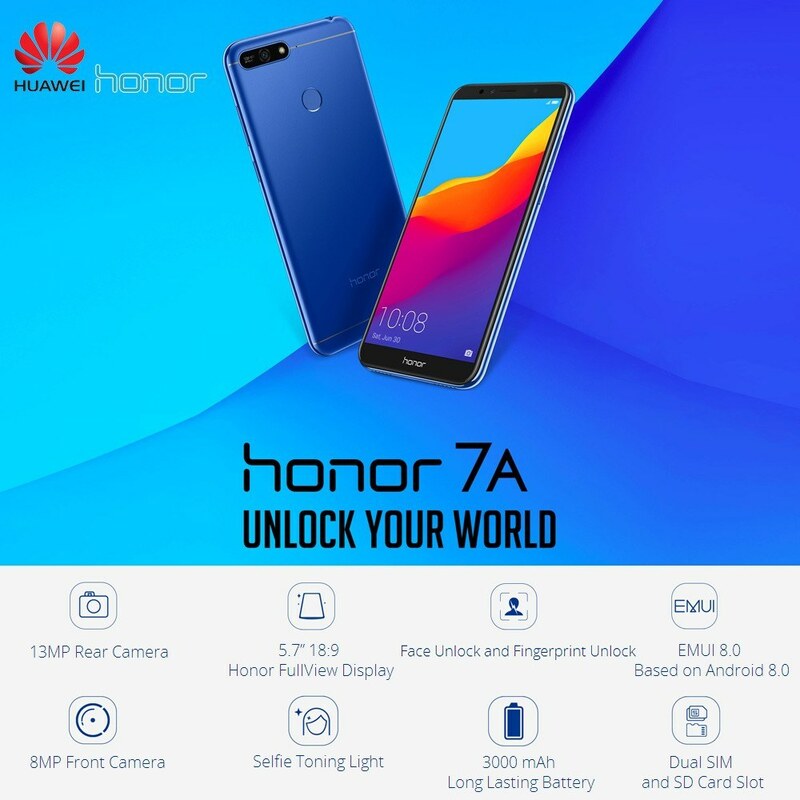 Q Do the Huawei Honor 7A have face and fingerprint unlock features? 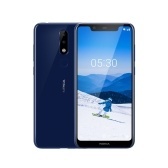 A Yes, it has Face Unlock and Fingerprint Unlock.